Did you know that blueberries are one of the most nutritious foods you can eat? Making blueberries a regular part of your diet helps to combat aging, boost brain power, fight cancer, support digestion, promote heart health, benefit the skin, and aid weight loss. Oh, and fresh blueberries like those you can pick at the Hillview Blueberry Farm, taste absolutely amazing. Don’t even get me started on blueberry pie… hey it’s food for the soul. You can also get blueberries already picked if you just want to get home and start making that pie. Picking season varies a little bit from year to year, but generally starts in July and sometimes runs through the beginning of September. Blueberries freeze quite well, so you can enjoy summer’s bounty all year round. 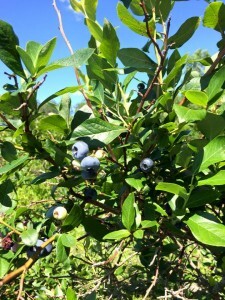 Hillview Blueberry Farm is located on 7091 Bean Station Rd in Prattsburgh.